A storm damaged, privatly owned Wild Cherry. 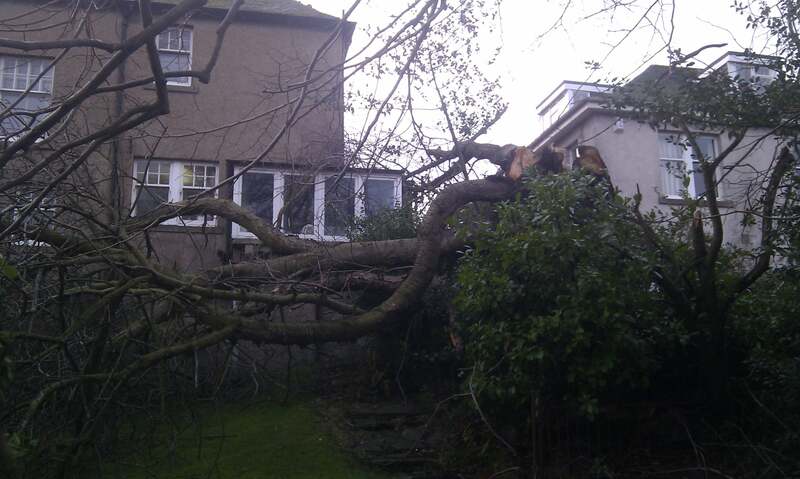 This mature Gean (Wild Cherry; Prunus avium) was on the receiving end of 103 mph winds in January 2012. It had some structural weaknesses that finally failed with the extreme weather. Luckily there was no damage to either of the adjacent houses. Trees are much more likely to fail unpredictably under such extreme weather events. However symptoms of predictable failure can be found by a competent arboriculturist, who can then recommend actions to reduce the risk of harm.